Flat screen TVs are made to be wall mounted. But wall mounting a flat screen television can go terribly wrong in inexperienced hands. Why risk bringing harm to yourself, your walls, your electrical cables or your brand new TV? At Spiers Hanging, we have the skills and experience to install any wall-mounted television in your home or business in Sydney, the Illawarra, the South Coast and the Southern Highlands. Our TV wall installation service provides a seamless cable-free look, helping to improve the aesthetics of your living space. And by using a tilted or swing-arm wall mount bracket, we can ensure you have the perfect position for maximum viewing comfort. Improve the look and performance of your television with our TV mounting services. Spiers Hanging will help you to achieve that home theatre quality you’ve been looking for! Our flat screen wall mount installation service will give you the peace of mind of knowing your TV has been installed safely and securely. Television wall mounting will protect your TV from accidental bumping or tipping, and keep it safely away from young children. Don’t wait any longer for professional television wall mounting services in Sydney, the Illawarra, the South Coast and the Southern Highlands! Contact Spiers Hanging today and bring your walls to life. Our TV wall installation service will hide your television cables and free up space on your entertainment unit, creating a sleek and modern look for your home or business in Sydney. At Spiers Hanging, we work with you to create the perfect look for your home. Our full service TV installations will meet your needs with expert design and implementation of your wall mounting. Why Choose Spiers Hanging For TV Installation Services? 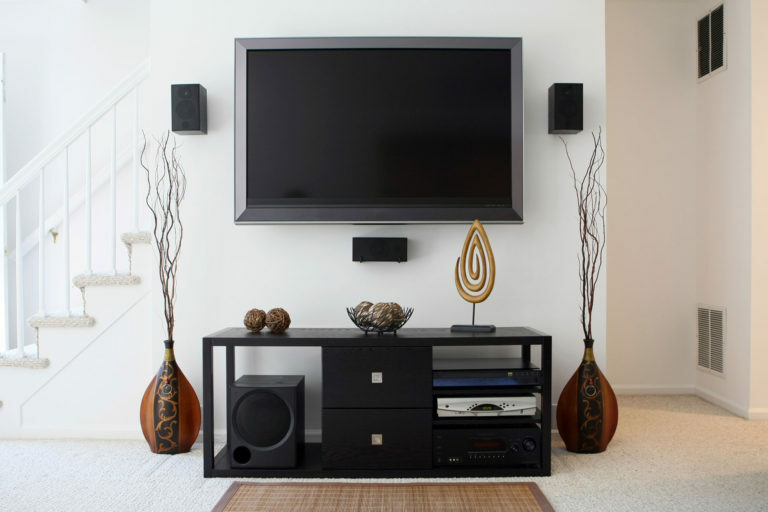 Need television mounting services to help you get a theatre-like experience in your own home? 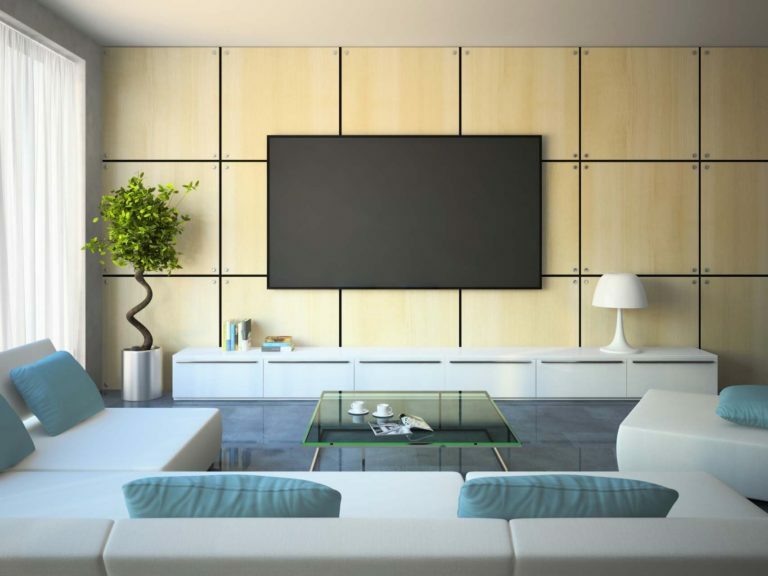 Spiers Hanging provides convenient and professional TV wall mounting services in Sydney and suburbs across the Illawarra, the South Coast and the Southern Highlands. TV mounting services are a great way to add space and style to your home. 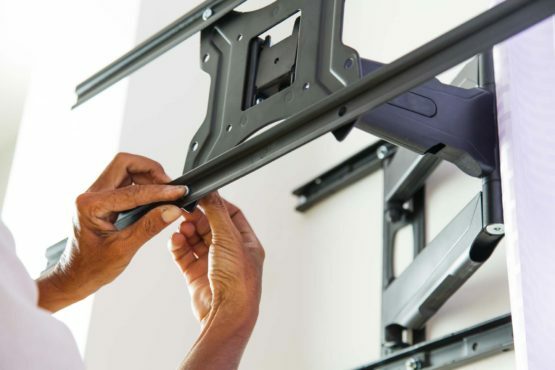 We use the best tools and wall mounting experience to make TV installations quick and easy, while working with the utmost care for your home and belongings. 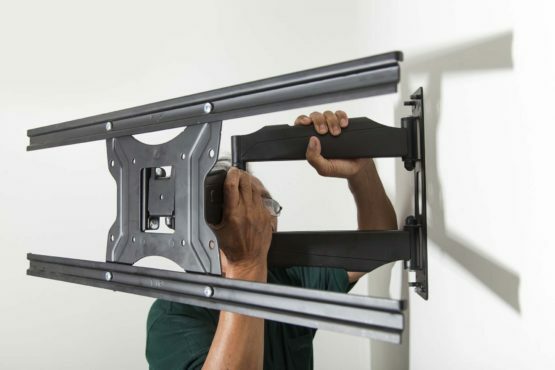 If needed, our TV wall mount service also includes time spent with a consultation. 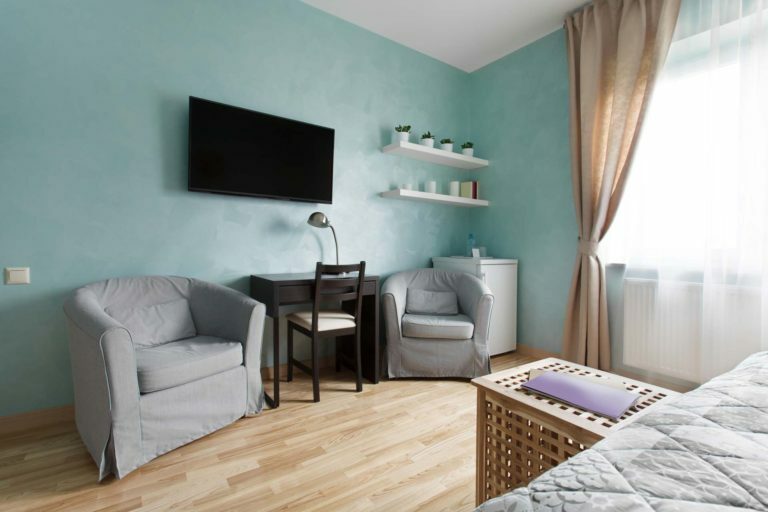 We will help you find the best location for your TV, check the material of the wall, and consider the distance from your viewing position to help create a comfortable and functional living space. 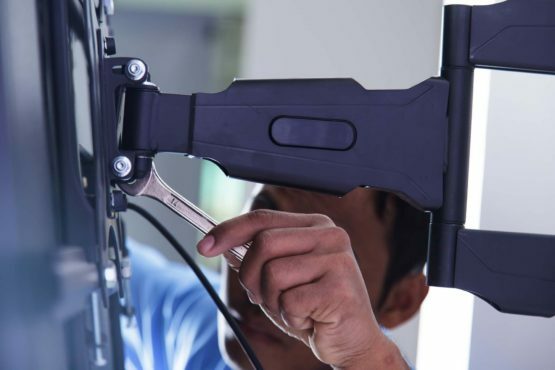 We are highly experienced in all types of television installation, and have worked with a range of clients, including homeowners, retailers and corporate clients. Our team is dedicated to enhancing your space with wall mounted televisions that are hung safely and securely. Don’t risk damaging your walls, your cabling or your brand new television! Spiers Hanging offers risk-free, professional, personalised television wall mounting services suited to your budget and requirements. Get in touch with your Sydney TV wall mounting specialists today! Trevor was referred to me to hang inside my unit an extremely large and heavy industrial Belgium window-turned-mirror on the dining room wall. He did the job extremely well and it is completely secure. I also had him hang a mirror in the bathroom, shutters in the bedroom and a host of other jobs that needed to be perfectly level. Trevor is a perfectionist, well mannered, punctual and takes pride in getting the job right. I have no hesitation in recommending Trevor to any of my family or friends and want to again take this opportunity to thank him for a difficult job well done. I trust Trevor to make my clients collections look beautiful. He has found ways to hang some difficult, heavy items and has a 'thinking outside the box' approach to his work. Trevor was recommended to me and I could not be happier with what he did in my newly renovated house. He hung all my art and mirrors, and the results are literally... PERFECT!